Mr. 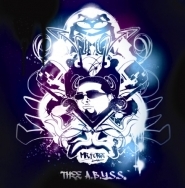 Forge tracks from the album "THEE A.B.Y.S.S." These are exclusive producer mixes subject to change for my future project.. Forge aka Mr. Forge was born in Colorado. Raised in Los Angeles, California has spent the last 10 years in Northern Virginia/D.C. where he now resides. Forge is characterized by dualities. He is The Maker, and a true warrior. A proud Chicano, growing up in Inglewood and Hawthorne, California, he naturally had an analytical, mature and surreal perspective for life. Sharing a love for both poetry and music at any early age, he began to explore writing and spoken word, developing his emceeing abilities for more than 10 plus years. Receptive through these years, through mazes of the reality of life and circumstantial lessons, Mr. Forge has gained a respect and humbled understanding of his reason for existing. A mission if you will, to vividly describe his view of the world to the world through hip hop. Forge also known as Thee A.B.Y.S.S. (Articulated Bilingual Young Sound Soulja) is an emcee whom many can relate to on more than one platform. Forging many unique styles of abstract, analytical, philosophical, and spiritual content while still capturing the realness of the hip-hip genre delivering his cool and collective lyrics in both English and Spanish. Passionate about his mission, Forge holds true to his willingness to conform to a self-motivational mantra. Express, Encourage, Educate & Expand.